The “Take a Stand Center” at the Illinois Holocaust Museum is an entirely new way to experience history and recognize and appreciate its relevance today. 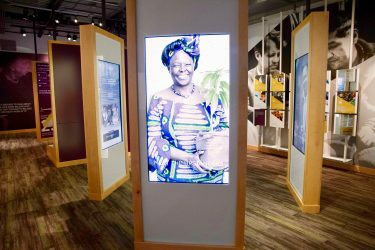 G&A was the first exhibit design firm to work with high-definition holographic interview recordings of Holocaust survivors—created by the USC Shoah Foundation—to create an immersive theater experience inside a museum. 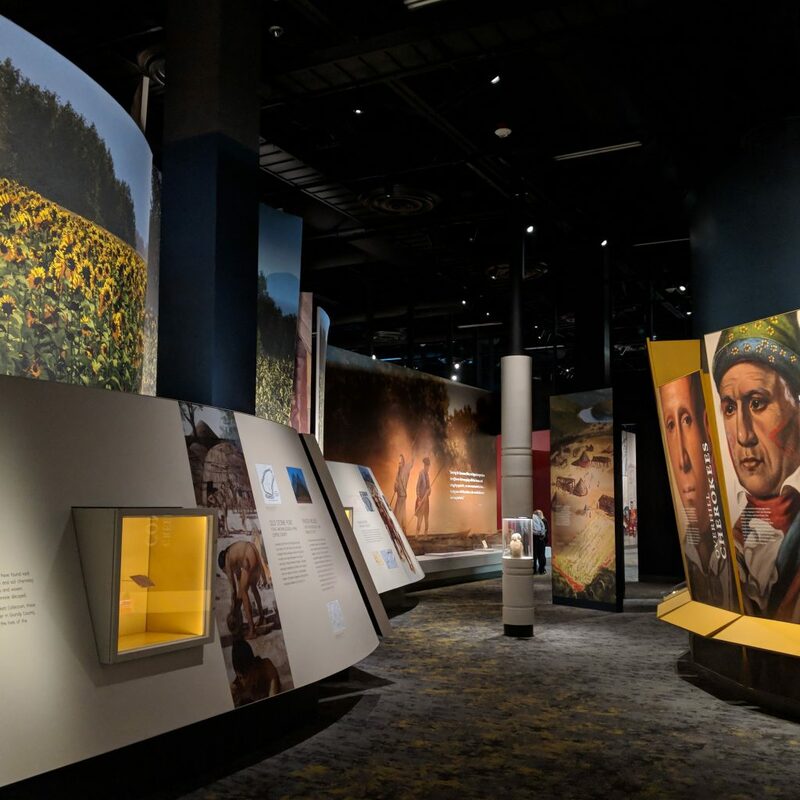 G&A designed three exhibit galleries that seamlessly interweave stories of Holocaust Survivors to add context and relevance before and after the theater experience. From beginning to end, the center seeks to invoke and inspire contemporary activism through the use of spoken word, vivid media, stories of famous and every day upstanders, and finally tools to take action. 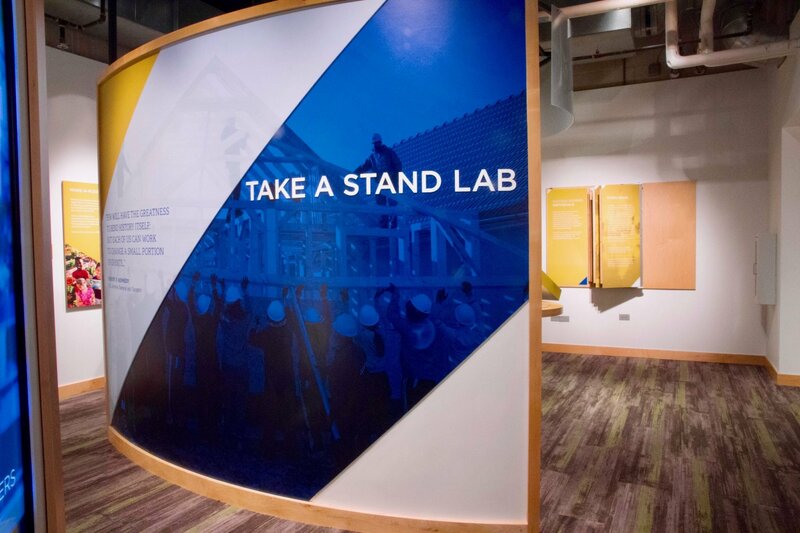 The Take a Stand Center begins with the Abe & Ida Cooper Survivor Stories Experience where visitors have the opportunity to have an unforgettable conversation with a Holocaust Survivor about their lives and experiences, even when Survivors are no longer with us. 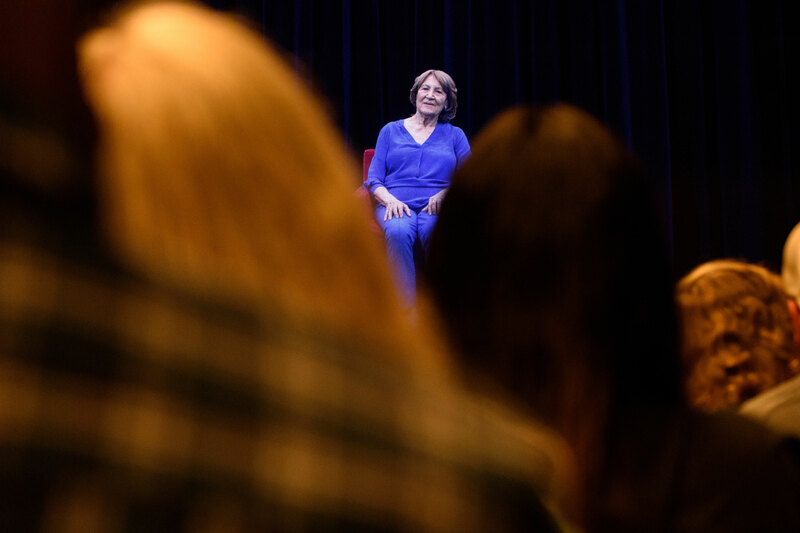 The Experience combines high-definition recording and holographic projection with custom voice recognition technology to enable recorded Holocaust Survivors to tell their stories and respond to questions conversationally. 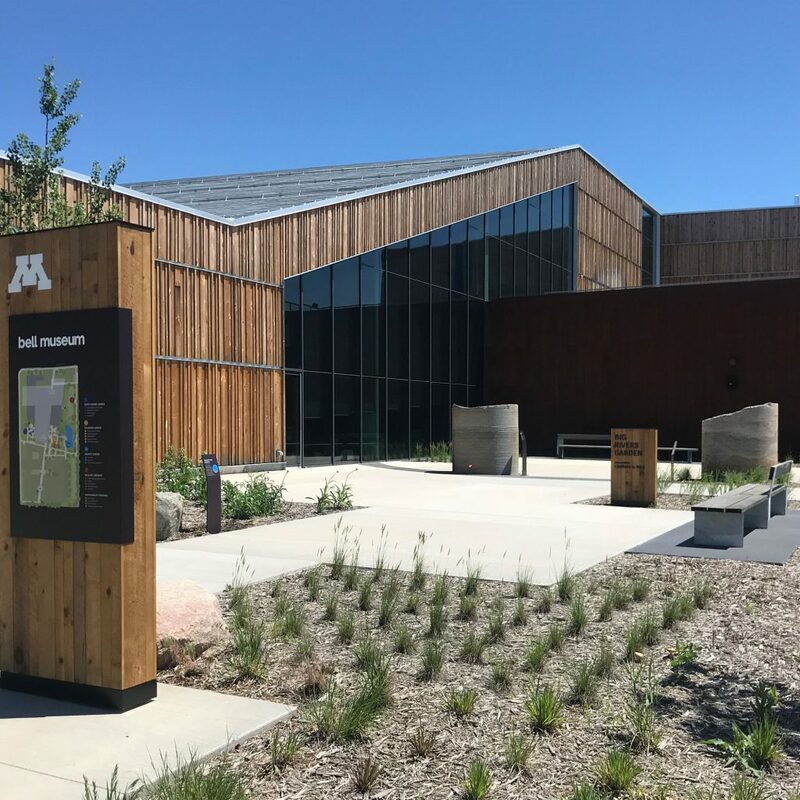 Using sophisticated audio equipment and multiple screens, the Museum presents the Holocaust Survivor interactives as three-dimensional images. “The Answer” serves as a powerful introduction to the Take a Stand Center. As visitors enter the Holographic Theater, this introductory film opens with an unexpected narrator: the spoken word artist, Harold Green. Green’s original composition begins with him talking to the Survivors. 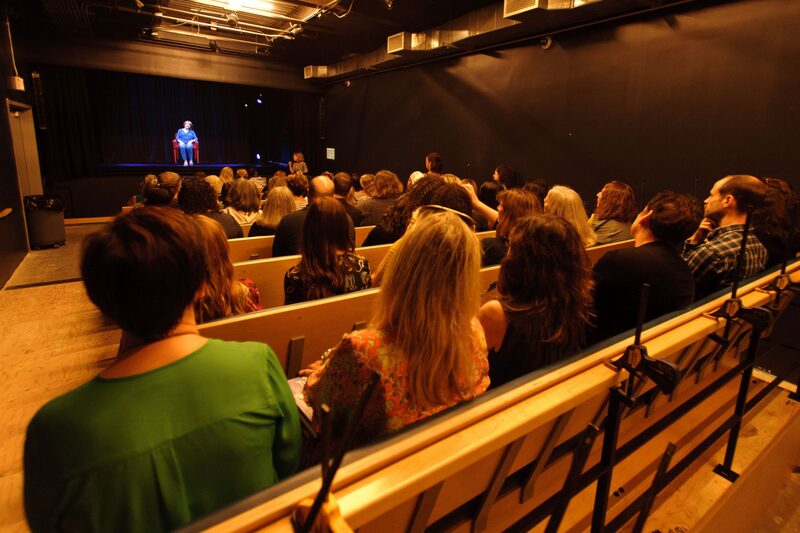 Halfway through, he pivots to talk to the audience–the ones watching and listening. 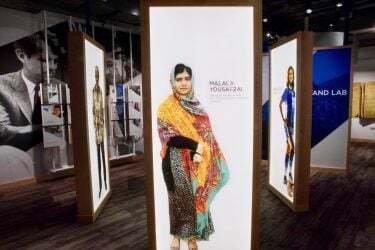 He previews the stories of contemporary human rights’ activists featured in the exhibition; young people stand alongside the Survivors; and the film ends with a crescendo of words and images that inspire visitors to be “Upstanders” themselves–to be the answers to the world’s injustices. After leaving the theater, visitors enter the “Goodman Upstander Gallery” where they learn about the creation of the Universal Declaration of Human Rights. In order to achieve those rights, the world needs Upstanders—people who take action on social issues that are important to them. Visitors learn about 40 Upstanders through both digital and physical interactives. 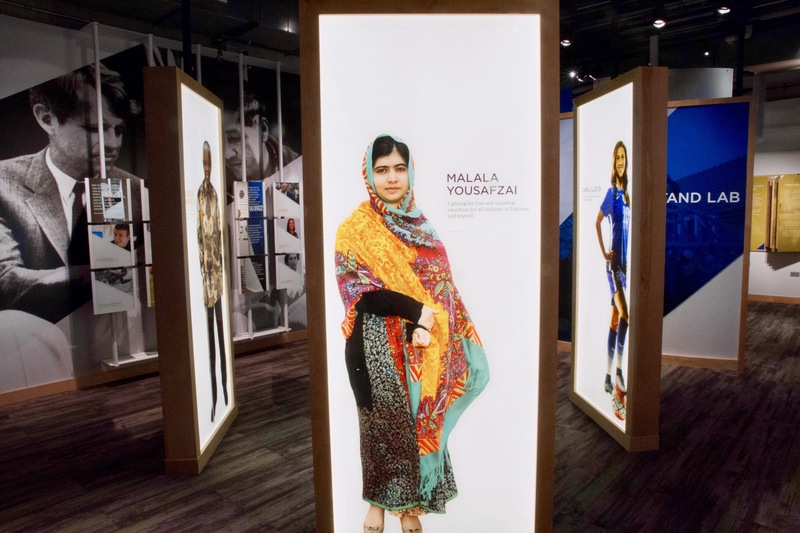 They can explore the formative moment, peak activism and impact of the Upstanders, ranging from Nelson Mandela and Malala to lesser-known young people making an impact in their community’s today. The last stop in the journey takes visitors through the Take a Stand Lab. Here visitors learn about different forms of activism and the actions they can take–from hosting a fundraiser to writing a letter to their elected officials, to volunteering–and can collect tools in a virtual toolkit they email themselves. 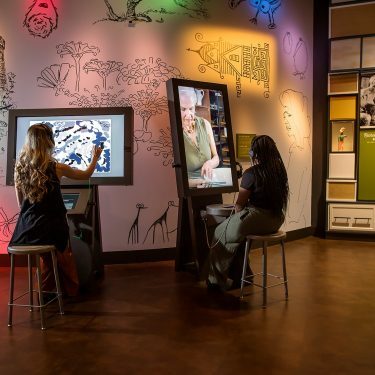 Through this movement from knowledge to inspiration to action, visitors—students and adults alike—are able to make powerful connections to their own lives and interests and help the Museum achieve its goal of encouraging people to be Upstanders, not bystanders, in the face of today’s societal challenges.